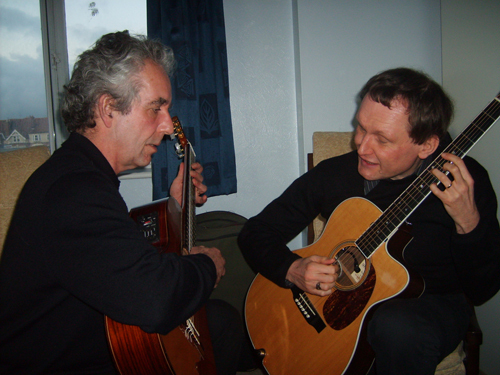 Guitar duo also available as a trio or quartet for hire. Dave Reay and Jamie Moore share a passion for guitar that shines through in every style they play, whether it's Latin, swing or acoustic rock. 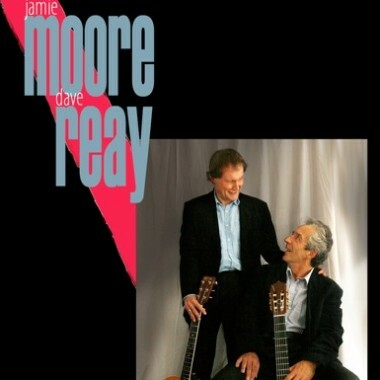 Dave Reay and Jamie Moore share a passion for guitar that shines through in every style they play, whether it’s Latin, swing or acoustic rock. Equally at home making the party go with a swing or providing tasteful background music for sophisticated dining, the sympathy of their playing and their infectious interaction give that little bit extra every time. Canadian born Jamie combines expressive lyricism with fiery Flamenco on nylon strung guitar, puts the swing into a jazz favourite, then tops it off with smooth transatlantic vocals. A graduate of the prestigious Berklee College of Music, he’s also a prolific composer with two albums of originals to his credit. After touring nationally in Canada, he made his home in London, playing widely and holding residencies in several West End Hotels. Dave Reay plays fingerstyle for the quirky Bebop lines he favours, then switches to plectrum for some extra speed and attack on steel string acoustic. The fluency and excitement of his playing are guaranteed to create a stir. He also composes and contributes some originals to the set. He has toured nationally and recorded three albums in an acoustic jazz/folk duo with his wife, Gay, and played across London and the South East with a variety of jazz, blues and rock outfits. 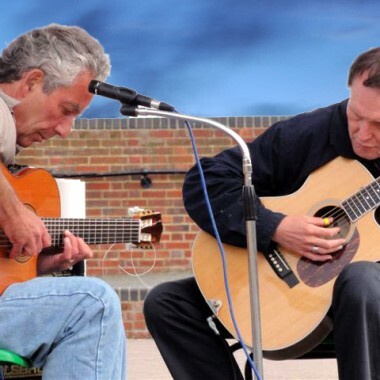 As well as their featured acoustic work, the duo can switch to electric archtops for that classic, mellow jazz guitar sound, or even rock out if required. These guys are just in love with the guitar, and they hope you will be too, at least by the end of the night. For a fuller sound, they’re also available as a trio or quartet with percussion or drums and/or bass.